Today I turned in my Digital Cable Equipment. I’ve been wanting to do this for some time not because I don’t enjoy watching television but because I feel like we are finally at the era of watching television in a more on demand way. I’ll get to that part in a second. Before giving up cable entirely my wife made me promise that she would still be able to watch everything that she did currently, most of which could be streamed digitally. There was one small catch. She wanted to watch the news live every morning. Each television in our house has an Apple TV attached to it. This gives us access to anything that we buy on iTunes, the ability to rent movies from iTunes, Netflix, Hulu Plus, HBO Now, Sky News and a few other things. As I mentioned before my wife wanted to watch the news live. Local news more importantly. So I tried to appease her with just one simple addition to my already vast library of digital media sources. 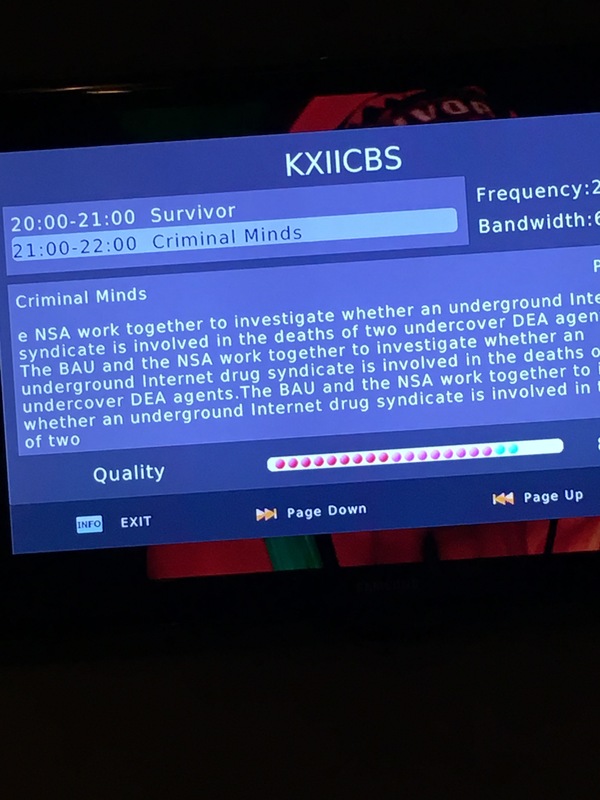 I added CBS Live to our Apple TV which allowed us to watch our local CBS station (Both streaming and live) over the Internet. This wasn’t quite enough for her as she also wanted our local NBC affiliated station as well. I first started by going to Walmart and buying a $20 GE Digital Antenna. This worked pretty well but didn’t pick up all of the stations that I wanted/needed in the quality that I expected it too. There was one other problem. The little antenna had to be hooked up in each room of the house and so some of the rooms would get a few of the stations available and other rooms would get others. I needed something a bit more powerful. I also hate clutter and cords so I thought, there has to be a better way. 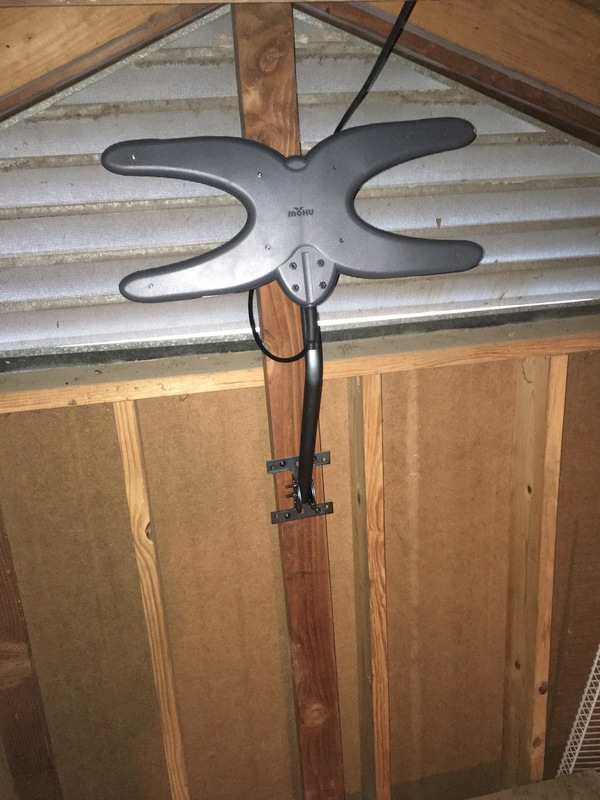 Maybe if I could put one antenna in my attic and then somehow connect all my television sets to just that one antenna. 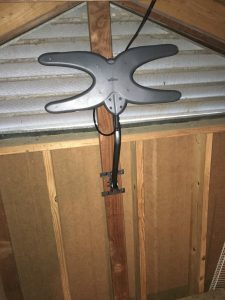 So I bought the Mohu Sky 60 Attic / Outdoor HDTV Antenna and a Regal 4 way antenna splitter. This left me with only one problem to solve. In two of my locations the coax cable and the television aren’t together because I have in wall HDMI Cables. After a little research I found the Mediasonic Homeworx HW180STB Digital Converter Box. More on that during the setup. Installation of the Antenna was pretty straight forward. I installed it in my atticclosest to the end of the house. Then I ran the included 30 foot cable over to where my old cable TV wires were connected. The antenna comes with an amplifier and so we didn’t need one for the 4-way splitter. 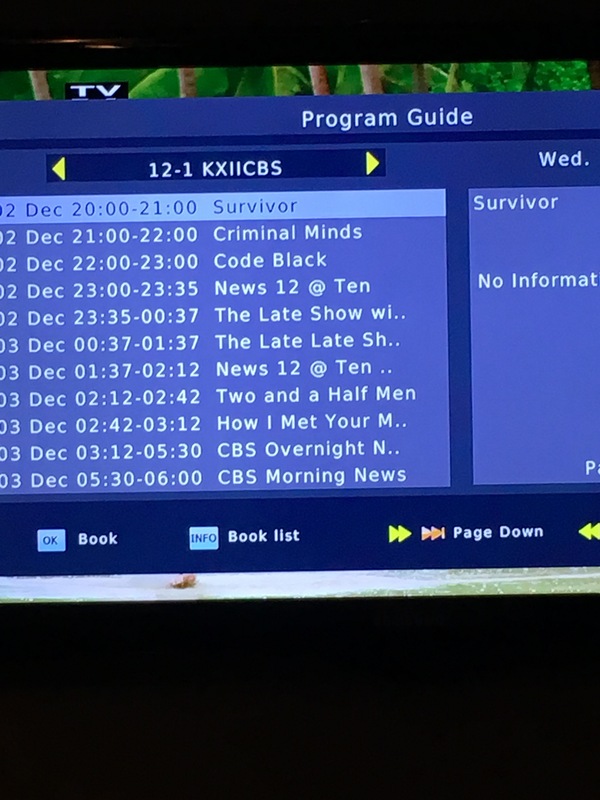 Programming most of the TV’s took only a matter of seconds and I let the auto channel tuner do all the work. The two that I didn’t have coax next too needed the Mediasonic Homeworx device. This allowed me to convert to HDMI and gave me an unexpected added bonus. The device has a USB port. I plugged a spare 32GB Flash Drive into the back and instantly I could pause and record the television stations coming in over the antenna. This is great and so easy to use. It also gave me a guide, and info about the shows I was watching from over the digital air. The last unexpected thing I found from the Homeworx is that it also shows you the signal quality. So now that I have everything in working order I’ve canceled my digital cable subscription. The Antenna picks up 10 channels including PBS, NBC, CBS, CW, FOX, ABC, Kids, OETA and a few other locals. This is all free over the air television. In total I pay $36.96 for the following online services (AKA MORE TELEVISION SHOWS THAN I COULD EVER WATCH). CBS All Access ($5.99 / mo), Netflix ($7.99 / mo), Hulu ($7.99 / mo), and HBO Now ($14.99 / mo). I use the Apple TV to rent movies and buy those I like. The only thing that I can’t find on the services I have is the Walking Dead so I’ve bought the season on iTunes for $40.00. This allows me to watch all of the walking dead episodes and I figure that even with that one-time cost I’m still much cheaper than cable television prices. If anyone has any other suggestions I would love to hear them. Comment below. Enjoyed the read. 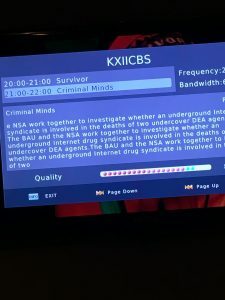 I have not used CBS All Access, but am glad you recommended it. 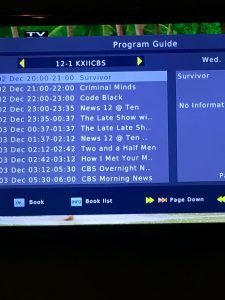 My wife loves The Big Bang Theory, and they stream the current season. 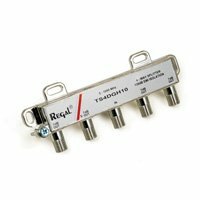 We have not had cable for the last several years, and have done several of the things you recommended. Our current house had an old Dish satellite mounted on the outside. We took the dish down, and mounted the antenna to the mount. The cables were already in place to plug the antenna in, and send the signal throughout the house. Another streaming service to consider is Sling TV. We have a Roku, and the Sling channel is a great $20/month. They have a very nice selection of tv channels that can be streamed over the internet. ESPN, Food Network, Travel, and History are just a few of the channel options they offer. Far better than paying a full cable subscription for 100’s of channels that are worthless. We happily pay $20/month for channels that we actually watch. I tried those antenna’s and they didn’t work !!! The one i used was called The TV Freeway !!! I have a smart TV made in 2015 but it still doesn’t work !!! Advise please !! !